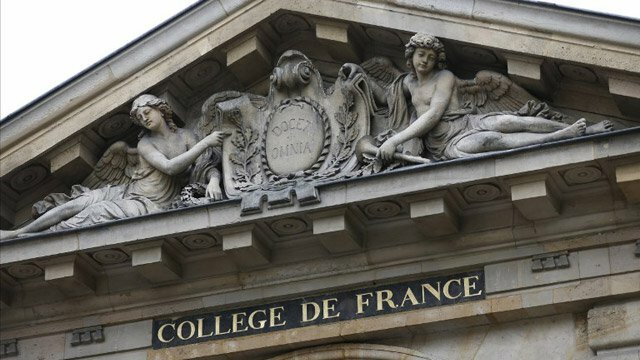 Is sociology as a discipline different in France than in Germany or Britain? Or do common facts about the social world entail that sociology is everywhere the same? The social sciences feel different from physics or mathematics, in that their development seems much more path-dependent and contingent. The problems selected, the theoretical resources deployed, the modes of evidence considered most relevant — all these considerations have to be specified; and they have been specified differently in different times and places. An earlier post considered the arc of sociology in France (link). Johan Heilbron’s French Sociology has now appeared, and it is a serious effort to make sense of the tradition of sociology as it developed in France. (Jean-Louis Fabiani’s Qu’est-ce qu’un philosophe français? provides a similar treatment of philosophy in France; link.) Heilbron approaches this topic from the point of view of historical sociology; he wants to write a historical sociology of the discipline of sociology. Heilbron traces the roots of sociological thinking to the Enlightenment in France, with the intellectual ethos that any question could be considered scientifically and rationally. This gives an intellectual framework to the development of sociology; but for Heilbron the specifics of institutions and networks are key for understanding the particular pathway that the discipline underwent. Heilbron identifies the establishment after the Revolution of national academies for natural science, human science, and literature as an important moment in the development of the social sciences: “The national Académie des sciences morales et politiques (1832) became the official center for moral and political studies under the constitutional regime of the July monarchy” (14). 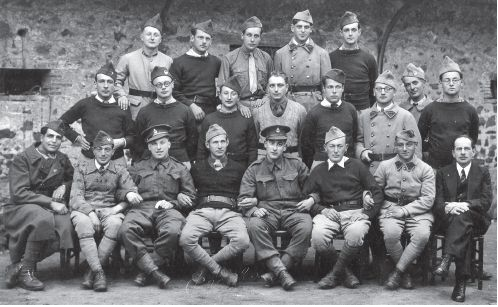 In fact, Heilbron argues that the disciplines of the social sciences in France took shape as a result of a dynamic competition between the Academy and the universities. Much of the work of the Academy during mid-nineteenth century was directed towards social policy and the “social question” — the impoverished conditions of the lower classes and the attendant risk of social unrest. There was the idea that the emerging social sciences could guide the formation of intelligent and effective policies by the state (20). Another major impetus to the growth of the social sciences was the French defeat in the Franco-Prussian War in 1870. This national trauma gave a stimulus top the enhancement of university-based disciplines. The case was made (by Emile Zola, for example) that France was defeated because Prussia had the advantage in science and education; therefore France needed to reform and expand its educational system and research universities. But Heilbron notes that this influence in the institutions of publication in the discipline of sociology did not translate directly or immediately into a primary location for the Durkheimians within the developing university system. On Heilbron’s account, the large changes in sociology began to accelerate in the 1970s. 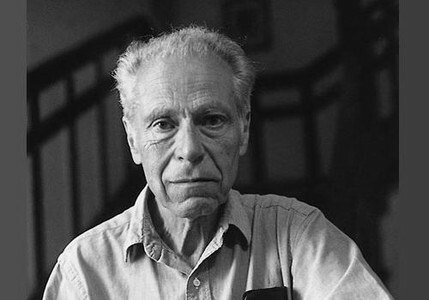 Figures like Touraine, Bourdieu, Crozier, and Boudon brought substantially new thinking to both theoretical ideas and research problems for sociology. In a later post I will consider his treatment of this period in the development of the discipline. Is the domain of “all social phenomena” a valid subject for scientific study? Is there a place for a purely general sociology, designed to be a theory of the social everything? Sociologists from Comte to Parsons have sometimes put forward this idea, and James Coleman pursued something like this in Foundations of Social Theory. But upon reflection, this seems like the wrong way of thinking about the social world. Instead, the social world consists of a hodge-podge of actions, rules, organizations, motives, and the like, at a wide range of scales (link, link). A key task for social scientists is to segment social phenomena into related groups of actions or entities, with a scientific goal of making sense of how these various kinds of stuff work. So social scientists should permit themselves to be eclectic and specialized, identifying sub-domains of interest and uncovering the mechanisms and processes that are at work in this area of social life. These considerations make it understandable that social research focuses on specific groups of social phenomena like these — contention, organizations, racial discrimination, norm systems, market behavior, voting behavior, families, delinquency, …. These are all selected groups of social action and structures, similar enough to admit of a condensed description of what unifies them and plausibly explained by a similar set of causal mechanisms and processes. 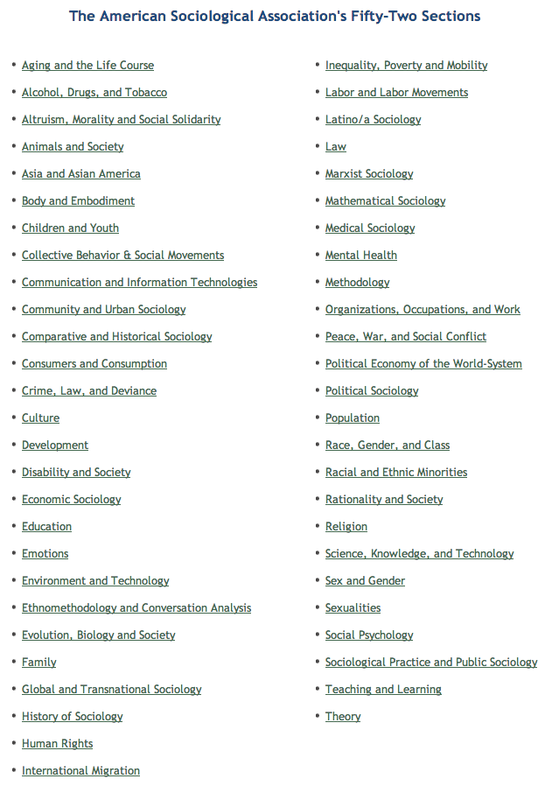 This provides a logic to the separation of the discipline of sociology into a large number of sub-disciplines; as of last count the American Sociological Association encompassed 52 sections, each organized around a set of research topics and methods (link). Consider a possible analogy. Suppose we have just arrived on planet Earth and have noticed that we are surrounded by noises, and we want to understand this blooming, buzzing confusion. More exactly, we “hear” a wide range of phenomena with qualitative properties through our auditory sensory systems. And suppose we wanted to formulate a science of sound. How would we proceed? We wouldn’t begin, most likely, by collecting and cataloging the sounds that we perceive — birds tweeting, jets roaring, children singing, elephants rumbling, … No, we would begin by trying to determine what “sound” is (what the physical phenomenon is that underlies the phenomenology of sound through our hearing system). We will answer that question fairly quickly — “sound is the result of vibrations in a medium in a certain range of frequencies, conveyed through a medium that extends from the vibrating object to the sensory detectors in our inner ears.” And then the vast majority of sounds will be disregarded as scientifically uninteresting. The essentials have been identified: a source of vibration and a medium of transmission. More interesting will be the anomalies — harmonics, differential speeds of propagation, echoes, Doppler effect, … And we will be interested in the non-obvious mechanisms of sound production and transmission. I’m not really interested in sounds, but rather in social phenomena. But there is a possible analogy here. The social world that we observe presents a bewildering variety of social phenomena. Where should we start in formulating a science of society? Perhaps the clue from acoustics and sound is this: we can ignore much of the phenomena, identify the surprising bits, and look for the mechanisms that underlie this surprising outcome or that. It is the fact of patterns and recurring surprises that will be of primary scientific interest. There is a unifying feature of all sound phenomena — vibrations in a medium. 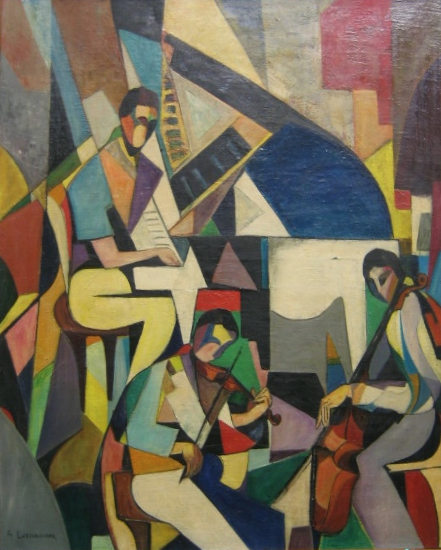 And likewise, there is a unifying feature of all social phenomena — real human beings interacting with each other on the basis of their own mental maps of the world around them and conceptions of where they are trying to go, subject to constraints created by the natural environment and the behaviors and practices of individuals around them. But the real substance of research in both fields takes place at a more refined level, in which researchers seek to identify mechanisms and explanations for apparently anomalous outcomes. What this thought experiment suggests is that we should not think of the subject matter of social science as the domain of all social action and social phenomena. Rather, much of what we observe in social life can be put in the category of noise, best filtered out as we focus our attention on surprising outcomes and mechanisms that permit of substantial illumination and explanation. The real subject matter is various bundles of related phenomena where we have succeeded in finding some important structural similarities and some relevantly similar causal mechanisms. And we shouldn’t hold out the chimera of a unified social theory that explains all social phenomena — whether rational choice theory, world systems theory, or psychoanalysis. — then we might argue after all that “general sociology” is possible after all. It would consist of (a) discovery of the premises that govern the actors, (b) exploration of the most important ways in which actors interact, and (c) exploration of some of the specific boundary conditions within which (a) and (b) play out in the actual social world. Much of the variation represented in the list of the sections of the ASA above takes the form of enumeration of special cases in category (c). But the general science of sociology is contained in (a) and (b). This gloss on the story also conforms to some extent to the science of acoustics: a common set of principles defining the physics and mathematics of the production and propagation of vibration through a medium, and a set of special cases where these principles produce odd results. These contradictory conclusions point to a central tension within sociological theory between greater generalization and greater attention to context and variation. (This tension is highlighted in the recent post on Peggy Somers’ rebuttal to Kiser and Hechter; link.) But I’m forced to acknowledge that this is also a tension in my philosophy of social science as well. The question of the availability of general theories in sociology relates to my own advocacy for the idea of methodological localism — the idea that all social phenomena derive from the actions and thoughts of locally situated and locally constructed individual actors in proximate relations to other actors. “The “molecule” of all social life is the socially constructed and socially situated individual, who lives, acts, and develops within a set of local social relationships, institutions, norms, and rules” (link). 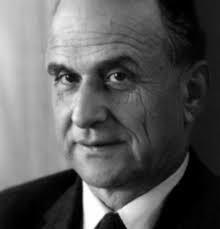 But this formulation seems to leave it open that we might aspire to having general theories of the actor that permit us to explain social outcomes in terms of the features of action that are identified. And that seems to be the program that Coleman is exploring in Foundations. The deluge of changes that shook Europe around 1800 — the making of the modern world — brought with them an explosion of big new ideas, new ways of framing the social, historical, and natural world which we inhabit. Darwin, Freud, Marx, Walras, Carnot, Poincaré, Einstein — each brought forward one or two foundational and iconoclastic ideas in terms of which to understand some very profound but mysterious features of the world. We think about the world differently because of their originality. And their categories, once shockingly strange, now seem like pure common sense. And the stock of ideas and theories we now have for understanding the social and natural world is vastly richer than it was in earlier epochs. These are indeed big and important ideas. We understand the real workings of the natural and social worlds better because of these revolutions in thought. We can ask two important questions. First, why did the modern world — industrial revolution, democratic movements, revolutions in physics and biology — stimulate such a rich flourishing of innovation and insight, as contrasted to the ancient world or the medieval world? The beginnings of an answer to this question can be found in the velocity and manifest importance of the changes that western Europe began to experience from 1750 forward — the French Revolution, the advent of the factory system in England, the spread of revolutionary ideas from anarchists and socialists into popular movements, and other profound changes. Thomas Carlyle was one of the creative thinkers who was forced to find a new vocabulary to describe industrial cities and factories in the early nineteenth century (Past and Present); these social complexes barely existed in the previous century. The second important question is even more interesting — where are those new ideas today? Has the twenty-first century yet created any genuinely new thinking to compare with the nineteenth century period of intellectual ferment? I am tempted to answer this second question in the negative. We have witnessed enormous technological advancement in the past fifty years. Who, in 1964, could have imagined the connectivity created by the Internet and Google, or the extension of human cognition enabled by a connected iPad? But have we encountered genuinely innovative and insightful new ways of organizing our world in thought, about either nature or society? Perhaps not. The social sciences have certainly advanced in the half century of research that has transpired since 1964; but I’m not sure that I would say that there are fundamentally new conceptions of social reality in play. (Perhaps the ontology of assemblage might compete for a spot on the stage; link.) It seems rather that our frameworks of thought have remained somewhat static for the past fifty years. It is possible that we should not expect big ideas at this point in our history, on the grounds that we now have a reasonably good understanding of both the natural and the social world. If we made that assumption, then we should expect long periods of incremental growth, expansion of knowledge of detail, along with combination and recombination of existing theories and concepts, but no major new breakthroughs. There will be objections to this line of thought. One is that earlier epochs may have been more innovative and paradigm-breaking than I suggest. Stephen Greenblatt’s recent book on Epicurus and Lucretius certainly makes a case for profound intellectual innovation in the ancient world (The Swerve: How the World Became Modern; link). So it is possible that the impression of radical intellectual change starting in the nineteenth century is just a consequence of the foreshortening of history; perhaps the ancients were as resourceful and creative in their thinking as the moderns were. Another objection is that each of the thinkers I have mentioned had predecessors, including Darwin’s contemporary Alfred Russel Wallace and the many versions of socialism that competed with Marx. Was Marx so innovative after all, when compared to Proudhon or Blanqui? So one should not over-emphasize the point of absolute originality. But taking all of this into account, it seems inescapable that human conceptual and imagination space took a major step forward between 1850 and 1925. And, by contrast, the past fifty or seventy-five years seem rather tame when it comes to big ideas. What thoughts do readers have about genuine innovations in thought in the past fifty years, especially in the social and historical sciences? Are there intellectual or conceptual discoveries that strike you as being genuinely transformative to the way we understand the contemporary world? Robin Blackburn has assembled a fascinating book drawing out some surprising connections between Abraham Lincoln and Karl Marx, An Unfinished Revolution: Karl Marx and Abraham Lincoln. Since both thinkers are highly original in their thinking about the worlds they inhabited, I’ve found the book to be absorbing. It consists of a brilliant hundred-page historical essay by Blackburn that draws out the themes in political theory that were of concern to both thinkers and demonstrates some surprising parallels. The book then provides several relevant speeches by Lincoln, several pieces of journalism by Marx about slavery and the American Civil War, letters by Marx including the centerpiece, a letter from Marx to Lincoln on behalf of the International Workingmen’s Association; and several miscellaneous short articles by other people about Marx and Lincoln. 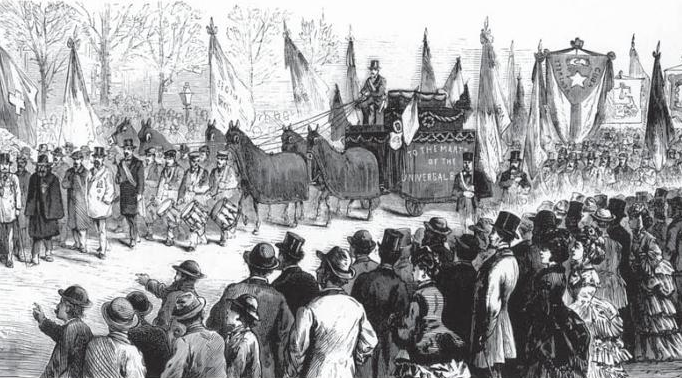 The International Workingmen’s Association itself came to have a substantial presence in the United States and brought with it a political agenda advocating racial and gender emancipation. After the suppression of the Paris Commune the headquarters of the IWA was moved to New York, and there were dozens of IWA sections in large Northern cities. 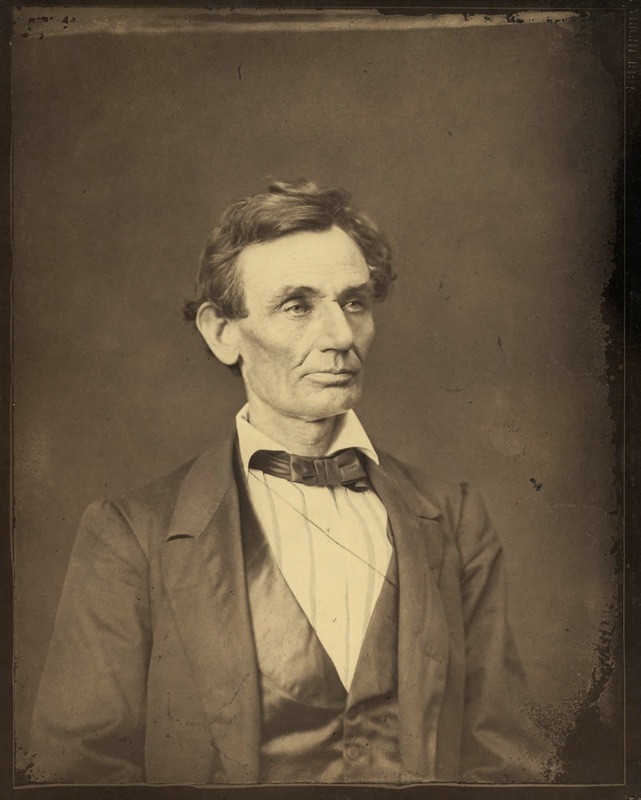 About one month following the assassination of President Lincoln, Marx sent another letter to President Andrew Johnson, also on behalf of the International Workingmen’s Association. It contains a powerful elegy for the President and is perhaps the most moving prose to be found in Marx’s writings. The “Unfinished Revolution” in Blackburn’s title refers to the failure of two large forms of human emancipation in the United States following the Civil War that lay at the heart of the political philosophies of Marx and Lincoln — the full emancipation of African Americans as the descendants of slaves, and the creation of a broad workers’ movement that would successfully challenge the power of big business. “If the nonappearance of a US labor party marked a critical defeat for Karl Marx, the failure of the Republican Party to emerge from Reconstruction and its sequel as a party of bourgeois rectitude and reform registered a spectacular defeat for Lincoln’s hopes for his party and country” (96). And Blackburn closes his introduction with some speculation about how Marx might have acted had he himself have relocated to America (as Engels briefly visited New York and Boston in 1887). The ideas that hold Marx and Lincoln together are emancipation and the basic dignity of the common working man and woman, and the vision of a society in which both freedom and dignity are possible for all. An earlier post highlighted an interesting piece of Marx scholarship by Regina Roth, included in a Routledge collection of important articles on the history of political economy (link). 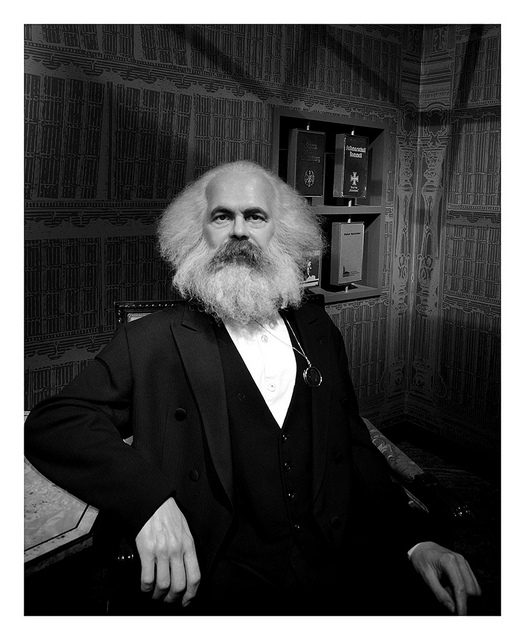 Another article that is of special interest in the Routledge collection is “Karl Marx on physiocracy” by Christian Gehrke and Heinz Kurz (link). The illustrations reproduced above are taken from this article. The first is a diagram, in Marx’s own hand, of the process of simple reproduction developed in detail in Capital. 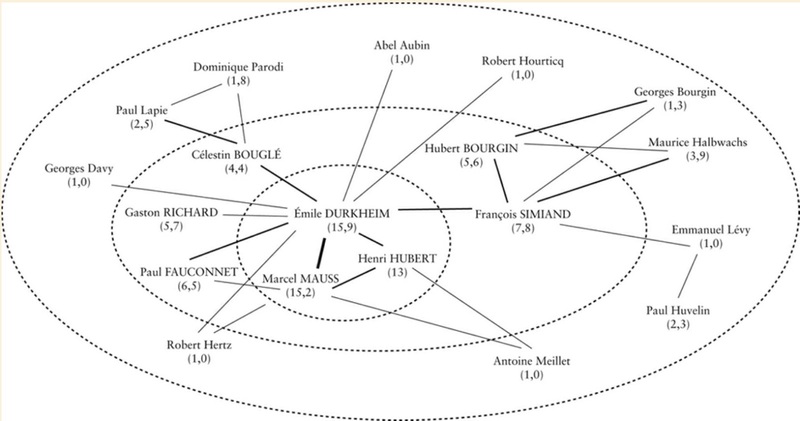 The second is Marx’s pairing of this same diagram with Quesnay’s Tableau economique, suggesting Marx’s indebtedness to Quesnay and the physiocrats. 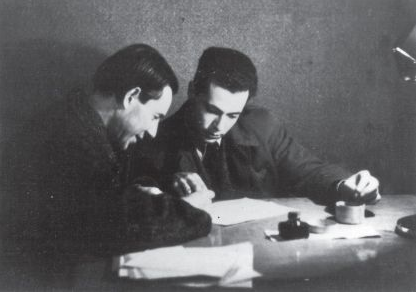 Gehrke and Kurz provide a highly detailed survey of the times and sources through which Marx studied the physiocrats, and the comments and questions that he raised in his working notebooks. They present the results of this analysis in two useful appendices to the article. In the primary text they focus on the most important question: to what extent, and in what specific ways, was Marx influenced by the physiocrats’ system? They find two crucial parallels between Marx and the physiocrats: first, both present a view of a capitalist economy that originates in a theory of surplus value; and second, each presents a view of the economy in terms of a flow of value through various sets of hands. The tableau represent this flow visually and arithmetically, and Marx’s schemes of simple reproduction do so algebraically. But their own chronology suggests Marx had arrived at many of his key economic ideas before he carefully analyzed the physiocrats. It is worth noting that the availability of digital versions of Marx’s manuscripts makes research on questions like this one immensely more efficient than it was in the 1990s when Gehrke and Kurz did their work. 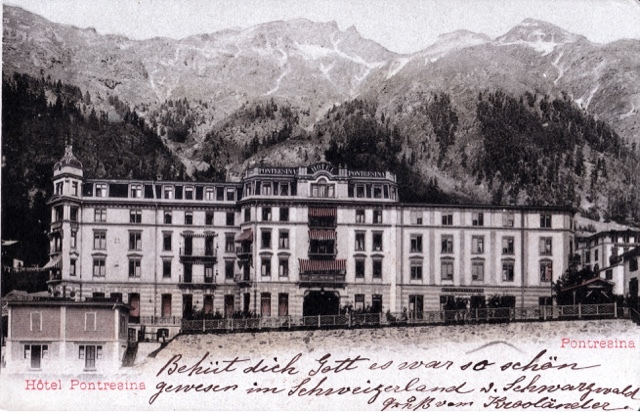 The online Archive of Marx and Engels provides digital access to many of Marx’s most important works (though not unpublished manuscripts), and it is possible for anyone interested in the role that a certain author or issue played in Marx’s thought to trace it quickly using the search functions available. For example, a quick search shows that there are ten mentions of “physiocrat” or derivatives in the Economic and Philosophic Manuscripts (1844). And there are hundreds of such mentions in Theories of Surplus Value. It sometimes seems as though there isn’t much new to say about Marx and his theories. But, like any rich and prolific thinker, that’s not actually true. Two articles featured in the Routledge Great Economists series (link) are genuinely interesting. Both are deeply scholarly treatment of interesting aspects of the development of Marx’s thinking, and each sheds new light on the influences and thought processes through which some of Marx’s key ideas took shape. I will consider one of those articles here and leave the second, a consideration of Marx’s relationship to the physiocrats, for a future post. Here is a table in which Roth correlates several important economic manuscripts in the two collections. Careful study of these thousands of pages of manuscripts and notes is crucial, Roth implies, if we are to have a nuanced view of the evolution and logic of Marx’s thought. And study of these many versions, notes, and emendations shows something else as well: a very serious effort on Marx’s part to get his thinking right. He was not searching out the most persuasive or the simplest versions of some of his critical thoughts about capitalism; instead, he was trying to piece together the economic logic of this social-economic system in a way that made sense given the analytical tools at his disposal. 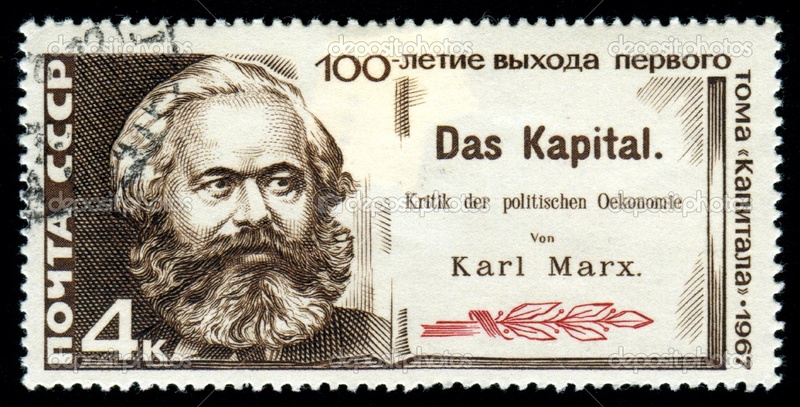 Marx was not the dogmatic figure that he is sometimes portrayed to be. The other important aspect of this article — the substantive goal of the piece — is Roth’s effort to reconstruct the development of Marx’s thinking about technology and technology change, the ways that capitalism interacts with technology, and the effects that Marx expected to emerge out of this complicated set of processes. But this requires careful study of the full corpus, not simply the contents of the published works. In fact, the unpublished corpus has much more substantial commentary on technology and technical change than do the published works. “In Capital terms such as technical progress, technical change or simply technology turn up rarely” (1241). Roth finds that Marx had a sustained interest in “the machinery question” — essentially, the history of mechanical invention and the role that machines play in the economic system of capitalism. He studied and annotated the writings of Peter Gaskell, Andrew Ure, and Charles Babbage, as well as many other writers on the technical details of industrial and mining practices; Roth mentions Robert Willis and James Nasmyth in particular. The economic importance of technical change for Marx’s system is the fact that it presents the capitalist with the possibility of increasing “relative surplus value” by raising the productivity of labor (1241). But because technical innovation is generally capital-intensive (increasing the proportion of constant capital to variable capital, or labor), technical innovation tends to bring about a falling rate of profit (offset, as Roth demonstrates, by specific counteracting forces). So the capitalist is always under pressure to prop up the rate of profit, and more intensive exploitation of labor is one of the means available. So technology change and capitalism are deeply intertwined; and there is nothing emancipatory about technology change in itself.